Woody Thames’ original business is in real estate and he has been a licensed Real Estate Broker since 1970. However, his passion to be a good steward of the resources given by God has led him to an interest in the cattle business as a second career. In order to strengthen this goal he has spent six weeks in New Zealand learning pasture management and is a graduate of the Texas Christian University Ranch Management School. Woody has been a co-operative producer for Pharo Cattle Company for six years and firmly believes in sustainable ranching. Roger grew up on a dairy and crop farm in north central Iowa, receiving his BS degree in Computer Science from Iowa State University. 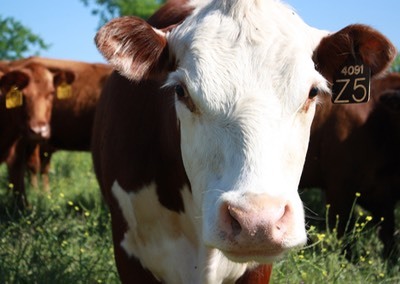 After success in both the Computer Science and Venture Capital industries, Roger has returned to his farming roots by becoming active in the cow-calf business for the last seven years, most recently as a co-operative producer for Pharo Cattle Company. 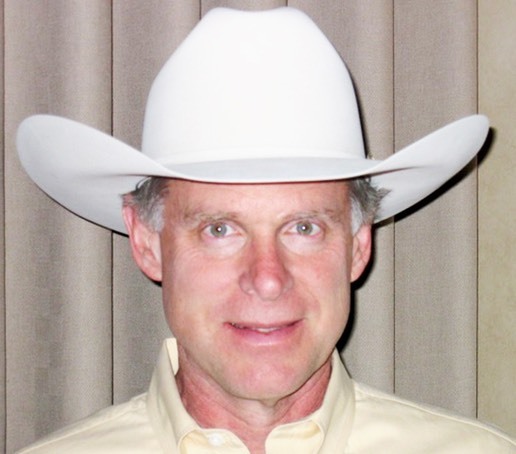 In 2014 he received the non-resident Rancher of the Year from the Soil Conservation District for Zone 5 in Texas. Roger and his wife, Lois, have two girls, Sara Brazelton and Jennifer Barefoot, who live with their families in Fort Worth. They are also involved in the real estate and cattle businesses. He serves on the elder board at Christ Chapel Bible Church in Fort Worth, and enjoys golf and travel. Lone Oak Ranch was a portion of the Miguel Rabajo 11 League Mexican Land Grant. Rabajo was given the land in 1834, but never claimed it, so subgrants were carved out in 1835 and given to Isaac Crouch, Hardin Nevill, John S. McCoy, William Neill and John Hannor. A Mexican 11 League Grant was equivalent to 48,712 acres. Norman and his 2 brothers, Edward and Harvey E. Conger, left Knox County, Illinois, in 1870 and bought the rest of the Miguel Rabajo Mexican land grant (28,000 acres) in the spring of 1873. They brought high quality livestock from Illinois, including the 7th registered bull in the state of Texas. The property was called the Conger Free Grass Ranch. 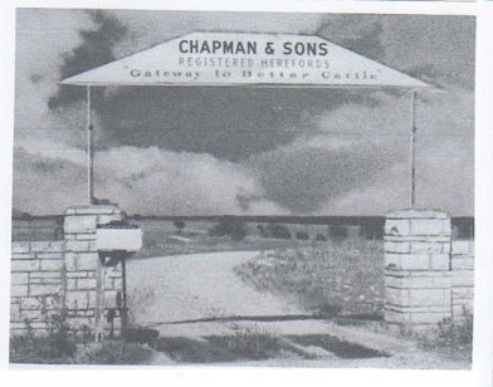 In 1950 the ranch was sold to Barney Chapman Sr., and the ranch was renamed the Chapman & Sons Registered Hereford Ranch. Barney’s original purchase included 2,217 acres, and later he purchased an additional 800+ acres across the gravel road on the north side of the Ranch; this is the road that goes through Childress Creek at the low water crossing. Acording to neighbors and historical records, one of the longhorn cattle drive trails that led into the main Chisholm Trail came through the area. It continued on north toward Fort Worth to the Fort Worth Stock Yards. 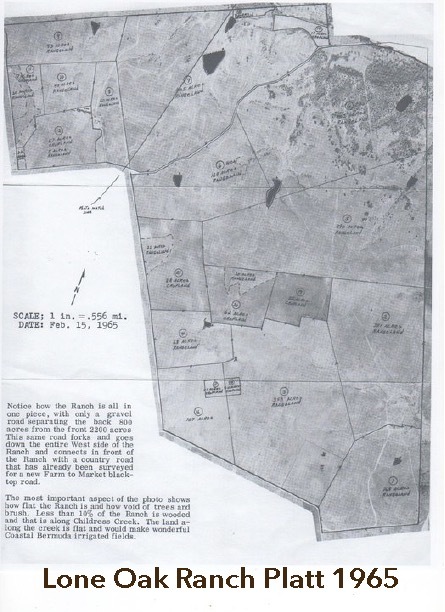 After the Chapman’s, the ranch was sold to Burrell Lee Markum, and was used as a feed lot. Markum was also the owner of Buddie’s Supermarkets in Fort Worth, Texas, a chain that eventually became part of Winn Dixie. The Markum’s started a cattle feedlot operation at the Headquarters and had approximately 800 head of feeder cattle. The Linn family purchased half of the ranch in 2005 and the rest of the ranch in 2010, and then renamed it Lone Oak Ranch. They have renovated fences, ponds, pens, water lines and water points. Mr. Linn also worked with the National Resource Conservation Service (NRCS) to create a Conservation Management Plan to renovate the agriculture and ranching operation. In 2010, a controlled fire burn was performed on 800 acres, and an active program of annually spraying prickly pear cactus has been initiated. The NRCS was involved in a new lake design (25 acres) and lower pond reconstruction in 2010. Since taking over, Agape Cattle Company has worked diligently to honor the tradition of the previous ranchers, while also making lasting improvements.